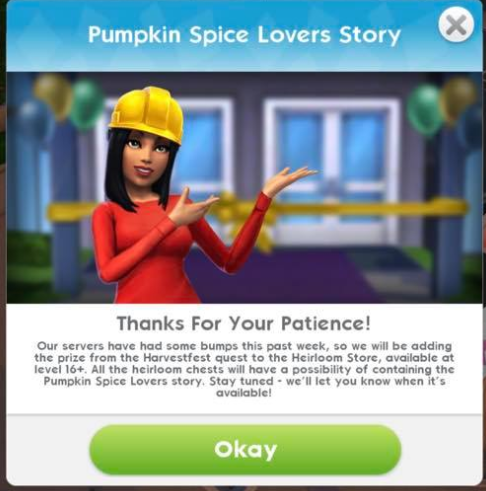 During the latest Harvestfest event many players began reporting game-breaking glitches that prevented them from moving on in the quests, this left most players to be unable to collect the event’s grand prize which was the Pumpkin Spice Lovers romance story heirloom. 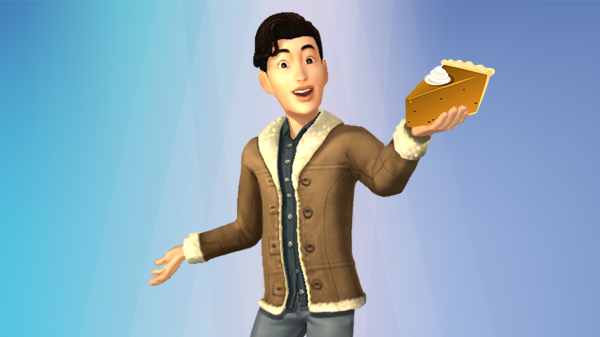 But The Sims Mobile team to say sorry has added the Pumpkin Spice Lovers heirloom to the Heirloom Store for players level 16+. There is no confirmed date on when it will be added into the store but check out the official Twitter page since they will tweet about it. 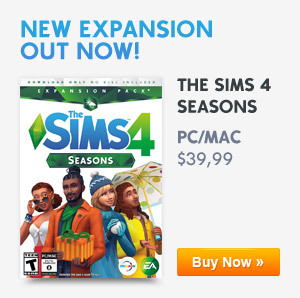 Previous ArticleThe Sims 4: November 20th 2018 Update (Patch Notes)Next ArticleThe Sims 4 Console: Outdoor Retreat & Jungle Adventures Is Coming Soon To Console!